Jump Rope Calgary - The Calgary Skip Squad is a not-for-profit club based in south Calgary Alberta. 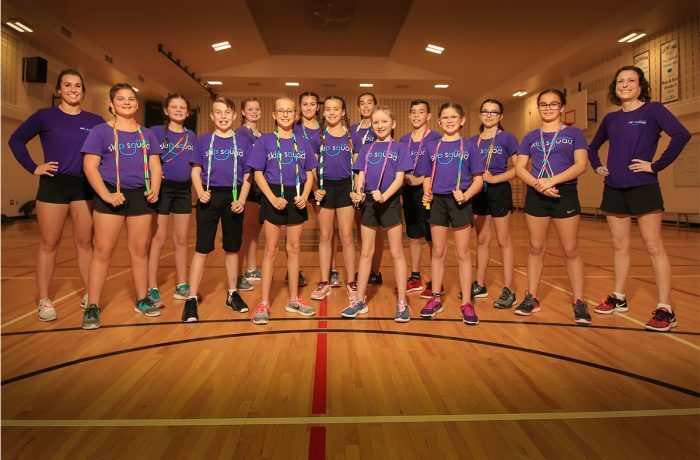 We are a jump rope team committed to promoting the awareness of the sport within our community. We offer skipping lessons and programs for kids 6 years and older in either competitive or a recreational program. Our team promotes hard work, dedication, leadership, goal setting, and responsibility. These values allow our jumpers to become great athletes and successful in life. We also perform skipping demos for the community, workshops for schools and clubs, and even will entertain and teach for birthday parties!